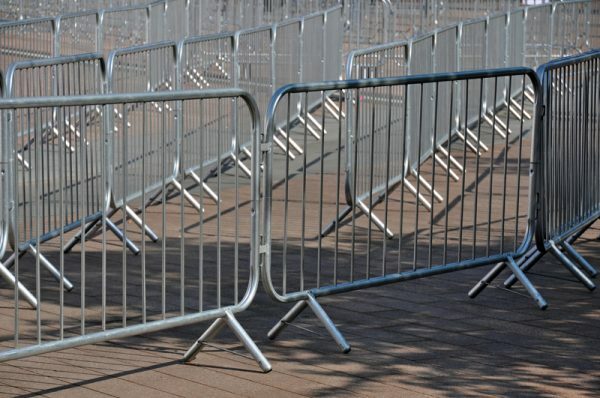 Our fixed leg crowd barriers are made from British standard galvanised steel and are primarily used to safely direct crowds and protect pedestrians. They have sturdy tubular feet that have been welded on to the frame and that will prevent the barrier(s) from falling over. The barrier itself is 2.3m in length with Infill bars that are welded to the bottom, they also have an interlocking hook and eye style design which allows you to create a strong continuous barrier fencing that cannot be broken. Each queue barrier is very easy to install, and you can create a perimeter in minutes and once finished with the crowd barrier fencing can be stacked away just as easily for the next time you need them. 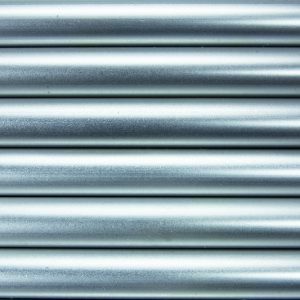 The metal crowd barriers we supply are known to be one of the strongest in the market as they have been made using Smart Weld technology, they are built to last as they have been fully galvanised which ensures that they are protected from corrosion or rusting in all weather conditions. Protect pedestrians from road works. How many crowd barriers do I need to take to get them delivered? 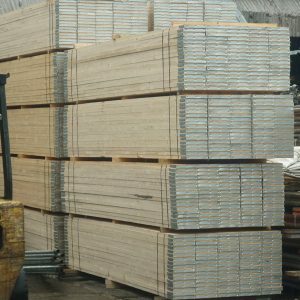 We have a minimum order quantity to qualify for delivery in place. 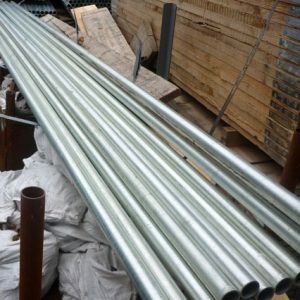 For this item, YOU WILL NEED TO PURCHASE A MINIMUM QTY OF x5STEEL CROWD BARRIERS. If you are buying additional items with the barriers, please contact us before hand to check if you need to take our minimum quantity. Conform to British standards BS EN 10244-2. It is recommended that 2 people must assemble them. Can be re-used over again. Are easy to stack and transport. 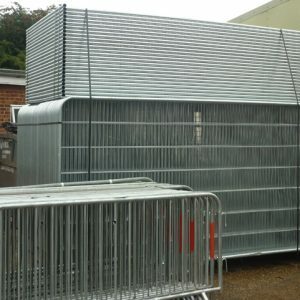 If you would like to find out how much it costs to deliver our steel crowd barriers please add the quantity you require to add to quote, then enter your contact details and the postcode where we will be delivering the barriers and we will get back to you with our delivery charge and our next available slot.